With some Khao Man Gai warming our happy tummies, we set off in search for more eats. 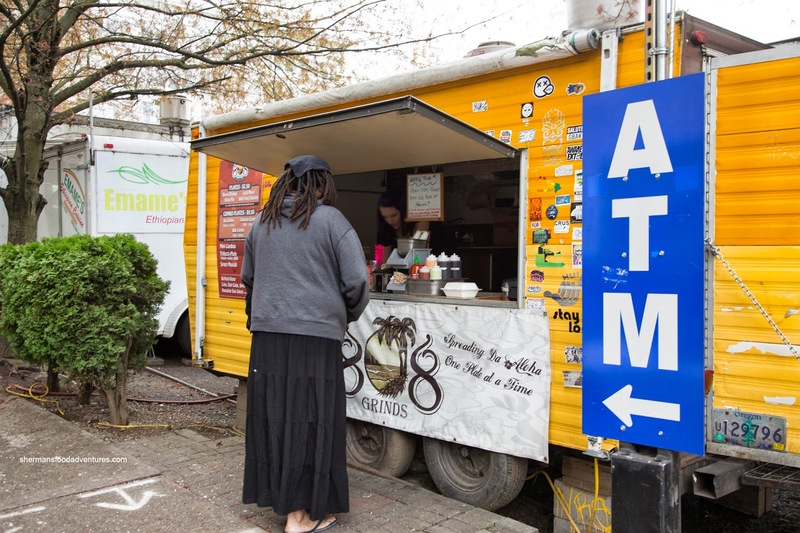 But with such a wide array of food carts around, it was a bit difficult to make a decision. We must've walked around the block 3 times before something caught our fancy. 808 Grinds seemed pretty busy serving up quasi-mixed plates and of course Spam musubis. Well, with an impending trip to Hawaii in the Summer, this was a good reason to get acclimatized to the local food ahead of time. 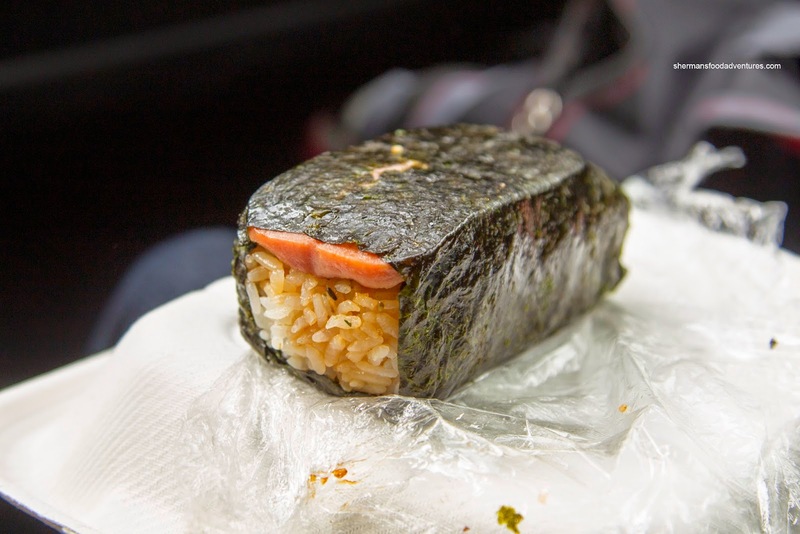 There was no doubt that we would start off with a few Spam Musubis wrapped in nori. Having sampled quite a few of these on our last visit to Hawaii, this one hit the spot. The rice was nicely textured riding the line between soft and chewy while benefiting from the seeping marinade. Weighing like it was over 2 lbs (it probably was), the 808 Combo (only $9.50!) 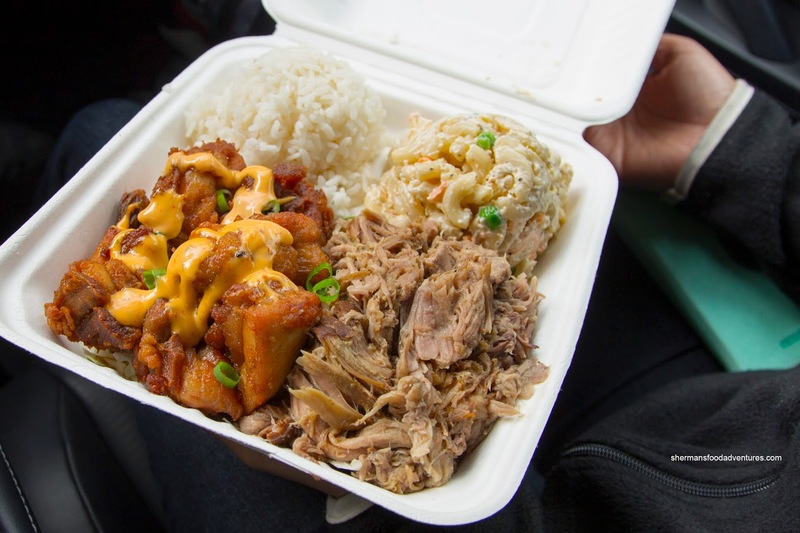 featured an enormous helping of Kalua Pig, 808 Fried Chicken, rice and of course the mainstay - Macaroni Salad. This plate of food was just plain solid. The pig was succulent and moist while sporting enough seasoning. Juicy and crispy on the outside, the fried chicken was addictive and well-seasoned. Even the macaroni salad was good with firm noodles and just enough mayo to hold it together. 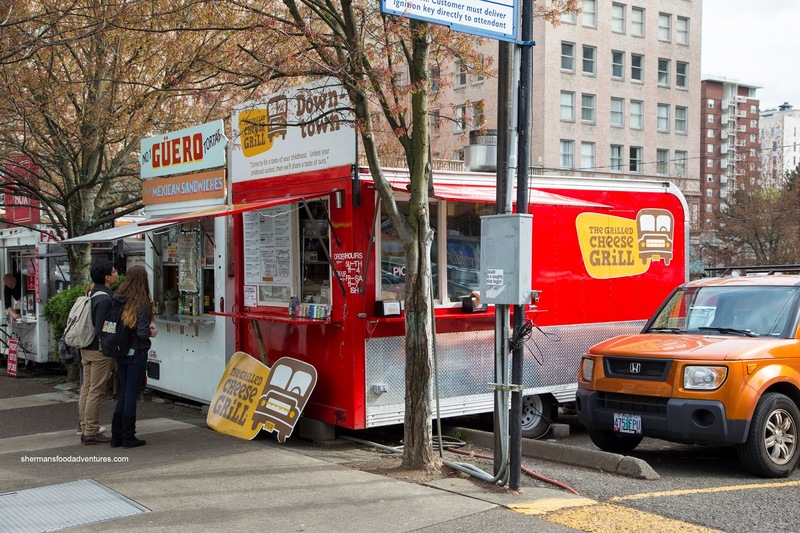 To complete our food adventure at the food cart pod, we visited an ol' friend in the Grilled Cheese Grill. Unlike their school bus location on NE Alberta, this humble lil' food stand still served all the favourites. 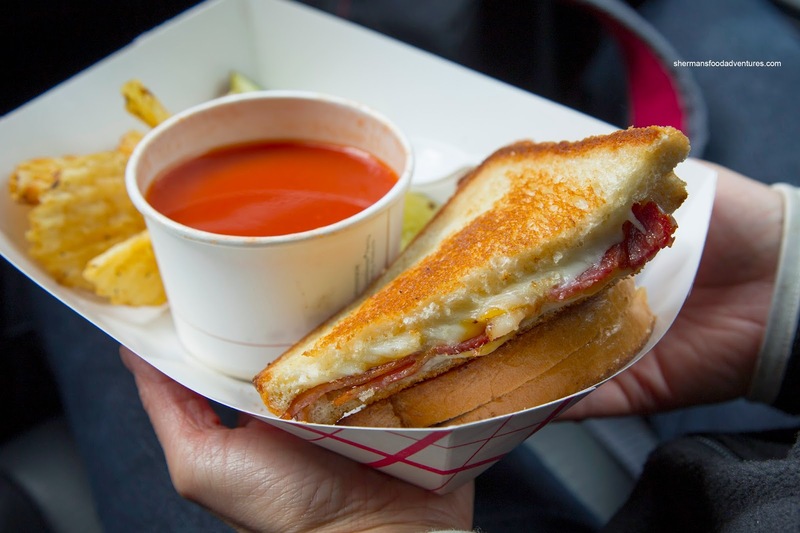 We went simple and had the Gabby with Bacon accompanied by a cup of Tomato Soup. Made with Tillamook cheddar, Swiss, mozzarella and Colby Jack, this was a crunchy and cheesy concoction aided by crispy bacon. The side of tomato soup was tart and only slightly sweet. A good compliment to a solid grilled cheese sandwich. Since we have had GCG before, it was a safe no-brainer. But the real surprise was 808 Grinds - excellent combination of good food, large portions and reasonable prices.